Russia, Emperor Nicholas II. 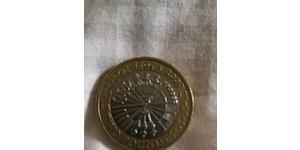 Large Silver Rouble Coin. 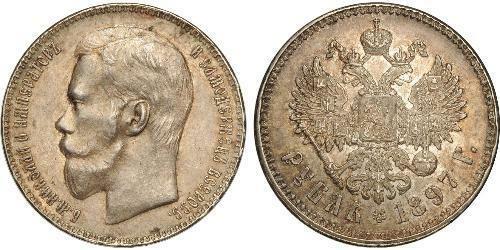 Obverse: Head of Nicholas II left. Translated: "Nicholas II, Emperor and sole ruler of all Russia!" 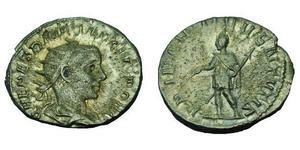 Reverse: Heraldic eagle with shields of provinces (duchies), holding imperial orb and staff . Nicholas II of Russia born Nikolay Alexandrovich Romanov (Russian: Никола́й II, Никола́й Алекса́ндрович Рома́нов) (18 May 1868 – 17 July 1918) was the last Tsar of Russia, King of Poland, and Grand Duke of Finland. His official title was Nicholas II, Emperor and Autocrat of All the Russias and he is currently regarded as Saint Nicholas the Passion Bearer by the Russian Orthodox Church. Nicholas II ruled from 1894 until his abdication in 1917. He proved unable to manage a country in political turmoil and command its army in World War I. His rule ended with the Russian Revolution of 1917 in which he and his family were imprisoned first in the Alexander Palace at Tsarskoe Selo, then later in the Governor’s Mansion in Tobolsk, and finally at the Ipatiev House in Yekaterinburg. Nicholas II , his wife , his son , his four daughters, the family’s medical doctor, his personal servant, the Empress' chambermaid and the family’s cook were all murdered in the same room by the Bolsheviks on the night of 17 July 1918. It is now well documented that this event had been orchestrated from Moscow by Lenin and the Bolshevik leader Yakov Sverdlov. This has led to the late Nicholas II, his wife the Empress and their children to be canonized as Martyrs by various groups tied to the Russian Orthodox Church within Russia and, prominently, by the Russian Orthodox Church outside Russia. Nicholas II was nicknamed by his critics Bloody Nicholas because of the Khodynka Tragedy, Bloody Sunday, and his government’s suppressions of dissent. In reality, he was a weak and indecisive man dominated by his wife and isolated from the socio-economic problems of his own country. Lastly, as Head of State, he did approve the Russian mobilization of August 1914 which marked the first fatal step into World War I and thus into the demise of the Romanov dynasty. Nicholas II was considered at the time as the third richest person in modern history. 1860,RUSSIA. 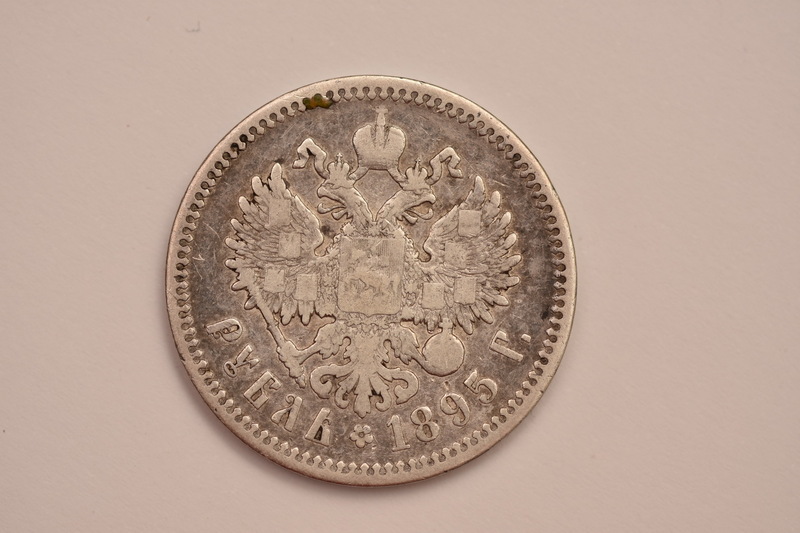 1/2 Ruble (Poltina), 1860-CNBOB. NGC MS-64.Y-241; Bit-99. Light attractive toning. 1762,RUSSIA. Poltina (1/2 Ruble), 1762-CNBHK. (1761-62). NGC Good Details--Scratches.C-46.2; Bit-13.